Have you ever wondered how the professional punters do it? Or what makes them good enough to earn a part or full time income from betting? Or maybe how the top 2% of punters keep going through tough periods? If you’ve ever struggled with these questions or issues like them, then our Betting X Factor report is a must read for you. In this special report written with betting expert and author, Jeff Smith, you’ll learn exactly what it takes for you to become a betting success. It’s available immediately for download for anyone joining the Smart Betting Club. Strategy: We track dozens of tipsters and systems with regular results updates so you can sort the wheat from the chaff. Money Management: Not only do we reveal the best tipsters, we also show you how to follow them. We show you how much you can safely stake on each tipster to maximise profits and minimise risk. Capital: We all have different betting budgets, but a Smart Betting Club membership can help you define realistic targets, whether this is to make an extra side income or serious investment returns. Even the best punter in the world won’t win with a poor strategy or tipster – BUT give 25 people the same winning system and you’ll get 25 different sets of results! Why? Because it takes more than a good strategy to make betting profits. It takes the ability to handle losing runs, to keep perspective after a big win and to maintain focus year in year out. This is where our special Betting X Factor publication will help. “I had often heard of SBC but after my experience with tipsters I was very sceptical. Eventually after mulling over it for a few months I decided to subscribe. Now some months later I have to admit it has been the best decision I have ever made from a punting point of view. Continuous marginal gains in sports betting. Key questions to ask yourself. How to build your betting investment plan. Money management – stake size and psychology. How to remove limiting beliefs. How to develop yourself for betting success. Join Today & Grab Your Copy Instantly! 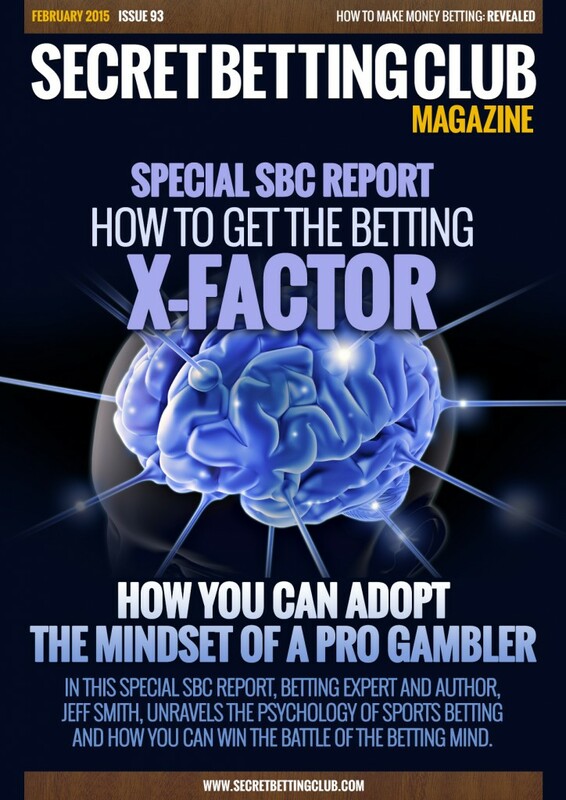 Access to this Betting X Factor Magazine is only available with an exclusive Smart Betting Club membership. The instant you join as either a Silver, Gold or Platinum subscriber, you can gain immediate access and download your copy! So don’t delay, sign-up today and get started on the path to better betting profits! As a Smart Betting Club subscriber you can also access in full our profitable football system – the ‘Fink Tank’. You can either read our updated 2014/15 season guide on how it works or simply pick up all qualifying system tips every week via the SBC Forum. With 4 profitable sub-systems to choose from (Asian Handicaps or straight 1X2 bets) its so easy to follow even Robbie Savage could figure it out! A couple of weeks ago we wrote about the free systems and tips that Smart Betting Club members can access as a complimentary part of their membership. Our core mission is to help punters find the very best tipsters, but we offer these free systems as a nice bonus. And what a bonus it’s been for anyone joining recently! Our in-house racing tipsters landed two huge winners recently at 20/1 and 10/1, but it’s the free Football system that has been the icing on the cake. There are four different methods available to follow the ratings with, but the jewel in the crown so far this season has been the AH15 Value Method. This system only picks bets if there is at least 15% value in the available odds and uses Asian Handicap to reduce any volatility in betting returns. Last weekend was an absolute cracker, with six out of six bets coming in. One member landed a 58/1 six fold backing all of them! This puts the system on a season high of 26.6 points, or a profit of £890 to £33.33 level stakes per bet. Not too shabby for a freebie. In celebration of recent results and to give you a flavour of how the system works, we’ve put a selection of the AH15 qualifiers for this weekend below. The home +0.5 handicap means you’re backing Crystal Palace and the draw. It’s exactly the same as a traditional Bookmaker Double Chance bet and effectively the same as laying Arsenal on the exchanges. If Pinnacle isn’t available to you, then you create your own +0.5 handicap from the home and draw odds. If Palace win – you win, but if there’s a draw you also profit. The home -0.25 handicap means you’re backing the home team, but with half your money back if it’s a draw. It offers a little bit more security than a straight forward home win. We also highlight the best odds and the next best bookie if these odds have gone. For UK focused punters, we supply a UK bookmaker only spreadsheet. ‘PIN’ stands for Pinnacle and ‘B365’ standing for Bet365. If you’re new to Asian Handicap betting, fear not. Another valuable bonus of joining the Smart Betting Club is our comprehensive Pro Betting Guide, which covers all the basics you need to know such as Asian Handicap betting and other betting essentials. Now the nacho dust has settled on the Super Bowl, we’re pleased to announce the release of our 2nd US Sports Tipsters report. 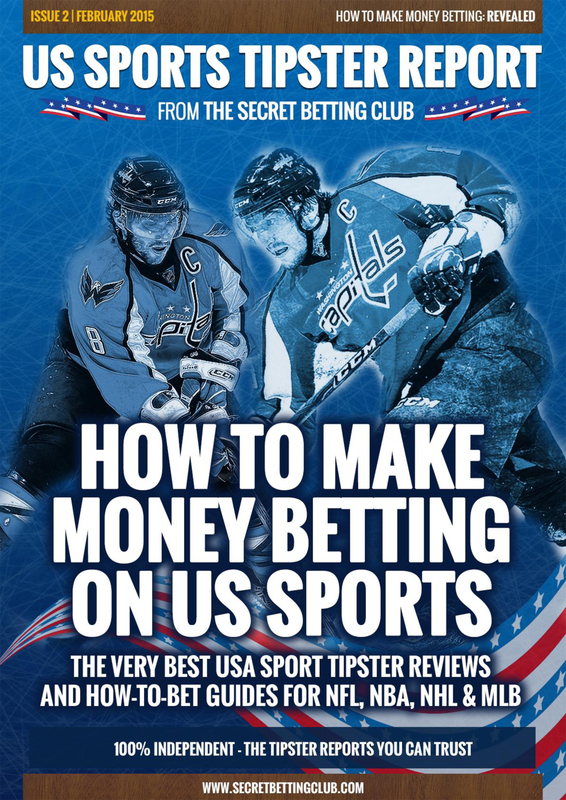 This specialist report is jam packed with the latest tipster reviews and guides designed to help you make money on US Sports. Gain Instant Access To Our US Reports As A Platinum Subscriber. NBA (Basketball) betting offers huge potential for profits with a packed season and fantastic odds availability. In this US Sports Betting edition, we run the rule over an NBA expert who has achieved an impressive 12.4% ROI, which more importantly translates to a 163% Return On Capital based on our recommended bank. Advised odds are achievable according to our testers, but this tipster may need to sort out his staking as our analysis shows that you can increase returns by betting to level stakes instead of advised stakes! The NFL and College Football season may be over for another year, but there are good reasons to get prepared now. In this month’s review of an NFL tipster, we highlight how their Ante Post results are their jewel in the crown. This year’s Super Bowl winners, the New England Patriots, were advised at the beginning of the season at 10/1 and this contributes nicely to an impressive overall Ante Post record of +29.01 points with an ROI of 52%. With betting on NFL really starting to become very popular indeed, it’s time to put this NFL tipster on your watch list. The Smart Betting Club takes great pride in the impact it has had on tipster proofing in the UK and Europe. By focusing on the data and never taking commission for our reviews, we have slowly helped clamp down on tipster bad practice. Sadly the US markets are still on the wild side and this month’s updated review highlights how nothing can be taken for granted with US tipster results. Before you sign up to a US based tipster, make sure you check our reviews and guidelines. In our first edition, we explored all you need to know about NBA betting for those unfamiliar with the sport. In this edition our US expert provides an in-depth guide to NHL (Ice Hockey). The NHL offers a long season with the playoffs stretching well into the summer. Our guide explains the main betting markets and where to get the best value. The US Sport betting market is ripe for making money from and our Tipster Reports have everything you could possibly need to take advantage of them. Sign up today and get both of our specialist US tipster reports. Our core mission at the Smart Betting Club is to give our members the best data on tipster performance and help punters sort the wheat from the chaff. However, over the years we’ve uncovered some valuable betting information and like to offer these as bonuses to reward our loyal members. Greeneye: During his first 12 months tipping on the forum, this racing tipster expert has made a 8.34% Return on Investment from over 300 tips posted for free. Badinath: This well-connected tipster has been posting free racing tips on our forum since October 2014 with over a 10% ROI from his first 400+ bets.. If Football is more your thing, then you can also follow the bets from our Fink Tank Football System on the SBC Forum each week. ROI = Profit divided by total stakes | ROC = Profit on initial bank. As you can see, three of the four methods are pulling in a profit this season, with the only loss being close to break even. The big hitter so far is our AH Value 15 Strategy, which has returned a 67% Return on Capital so far, or put another way – a £1,000 starting bank would now be worth £1,666.00 excluding the benefits of compounding. Not bad for a free system! It would have paid for your SBC subscription many times over! These results are encouraging, but they do also reveal two key lessons that we can learn from this season. 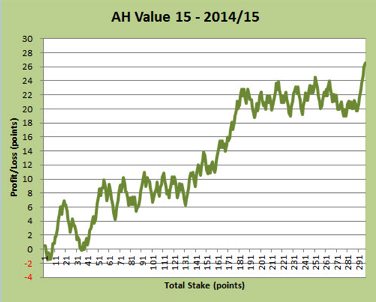 The historical results for the AH value 15 system show that this season is no flash in the pan – if anything it is doing even better than it has in the past. First you’ll note that last season made a small loss. Had we taken a very short term view of things we might have thought that this system was past its best and put it out to pasture liking an aging Premier League striker. Thankfully we have been able to take a long term view because we’re wary of a key lesson in football betting – One season does not maketh a system. 313 bets may sound a lot, but in football betting, it really isn’t. You need thousands of bets before you can really start to say if something is working or not. The system works by picking out value, which usually (but not always) means the underdog. But in some seasons the underdog bites more than others. Some seasons the top teams steamroller the opposition, while in others they give something back. There’s no telling in advance what kind of football season you’re going to have which is why you need to see a football system and a football strategy over the fullness of time, not one snapshot! You won’t be surprised to learn that the AH value system uses Asian Handicap for its betting, while the Win Value systems use straight forward match odds. Asian Handicap betting means you can cover the draw more, with less frustration over those ‘near misses’. Maybe you fancy Leicester to beat Man City and they’re available at big odds. If you use match odds, then you’re waiting on the big shock result, but if you use Asian Handicap, Leicester could still draw and you might get a result. The downside is that the odds are much lower with Asian Handicap, you’re not going to land a big 15/1 or even 20/1 outsider that could see your results dramatically rocket higher. Nothing beats that feeling…except the feeling of steady profits that Asian Handicap betting can provide. You might notice that whilst the win systems have a higher ROI (less betting required to make your profits), the ROC is lower. The upshot is that because Asian Handicap smoothes out your betting returns, you can stake more per bet than when betting win only. This means the difference between a £3,556 profit if betting on the win 15 system, compared to £5,533.00 using the Asian 15 system. OK you might miss those big winners, but I know what position I’d prefer to be in! You can follow all 3 of these free tipsters (The Fink Tank Football System plus ‘Badrinath’ & ‘Greeneye’ Racing Tipsters) with a full SBC membership. All 3 tipsters post their tips up on our members forum for free, plus both Badrinath & Greeneye also email you their tips. Duplicate Tips: Better Or Worse? If you follow more than 1 tipster or system, what should you do when you get duplicate tips… Should you stake normally, double up or ignore them? It’s a common dilemma for anyone who has an active portfolio of betting tipsters or systems, especially those that tip in the same league. If tipster A tips up Stoke to beat United, then tipster B does the same, is this a confirmation of value, or will you simply be doubling your risk by backing Stoke twice? In our latest edition of the Smart Betting Club magazine, we published part two of our ‘Combo Tipster’ method which answered the duplication question with a resounding thumbs up. Not only are duplicate tips a positive signal, it can be extremely profitable to ONLY back duplicate tips. The Smart Betting Club tracks dozens of profitable sports tipsters, which means we’re in the unique position to test what happens when those tipster send out duplicate tips. To keep the test manageable we’ve focused on the four best football experts that we track. Let’s taken an example from the weekend of the 10th of January. First here were your results if you backed each tipster individually, sometimes duplicating tips. Pretty good, but what if we ONLY backed tips that were duplicated? Not only does this dramatically reduce our work load, it also increases our profits. Of course this is just one weekend, but it backs up our complete analysis which goes back many seasons. Part one of our tipster combo series showed you exactly which services to follow. The great news is that one of these sources is the completely FREE Fink Tank Football ratings. Even better news is that you can get these qualifiers highlighted as part of your Smart Betting Club membership. So we know that focusing on duplicate tips can be an incredibly powerful strategy, but just how should we make use of this? •Bet double or even treble on duplicate tips? Before we answer this, we need to know if multiple duplications will increase profits over a single duplication. Or put simply – is it better when three or more tipsters back the same bet instead of just one? Or do you get diminishing returns? 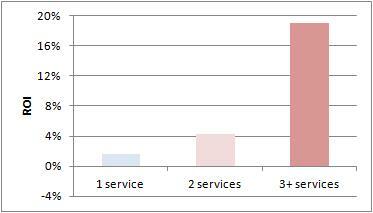 What this graph tells us is that when more tipsters back a bet, it’s even more likely to be profitable. In fact, the bulk of our combo tipster returns come from when three or more tipsters agree on something. So great minds do indeed think alike, but what strategies can we used to follow these duplicates? So how do these strategies pan out? ** Betting banks were calculated using our in-house “calculator”, based on large-scale simulations. Banks for system B and D are larger to accommodate the increased staking on multiple qualifiers. ROC is our measure of your profit in relation to your betting bank. Unsurprisingly, the strategies that increase your staking for multiplier combinations perform the best in ROI terms, but these will naturally reduce your number of bets and therefore your raw profit. If you want to find out more about this football tipster methodology and find out which tipsters we have used in our analysis, take up a Smart Betting Club membership today. What’s more, you can gain access to one of these experts for FREE. We post all qualifying bets for the Fink Tank value system in the Smart Betting Club’s member’s only forum each and every week.